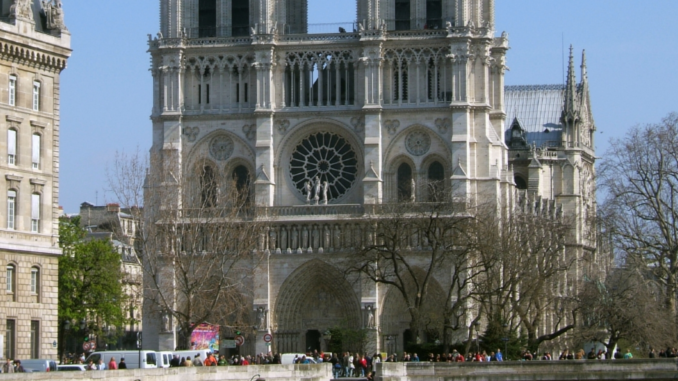 The Notre Dame 2007. Photo by Tom S.
BBC News reports that the 850-year-old Notre Dame Cathedral is on fire, the cause according to the report is unknown at this time. Images are being posted on social media of the fire. CNBC News reports that a “major operation” is underway to contain the fire. The Mayor of Paris confirmed the fire via tweet and called on people to remain away from the scene. A terrible fire is underway at Notre-Dame Cathedral in Paris. They @PompiersParis‘re trying to control the flames. We are mobilized on site in close connection with the @dioceseParis. I invite each and every one to respect the perimeter of security.